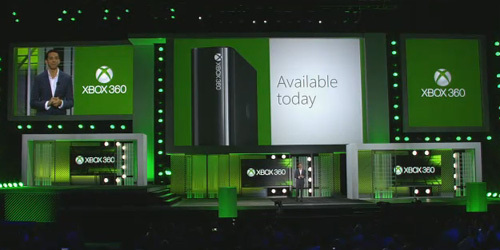 The New Xbox 360 Slim…er. So for those of you who cannot wait the 6 months until Xbox One. Microsoft will be releasing (yet another) Xbox 360 revision. This one will be “smaller, sleeker, and quieter” Sound familiar? With a new design that seems like a baby version of Xbox One, This could either be a way of helping the consumers transition. Or just be a nice cash grab intended for gamers who want better hardware, but aren’t quite ready for the jump to the next gen. So if you’re attracted to shiny new toys or just want a newer system to hold you over until after the launch bugs get worked out for Xbox One. You can pick up one of the 3 packages available immediately. A 4GB model (no Kinect) for $199.99. A 250GB model (also no Kinect) priced at $299.99. Or a 4GB edition which includes the Kinect for $299.99. What are your thoughts? Worth it or just another waste of money?